Trials and Tribulations are a part of all of our lives. The Old Testament prophets were familiar with trials and tribulation, and how God used these things in life to accomplish his purposes. One of my favorite passages in the prophets about this idea is a picture given in Isaiah, chapter 28. There we read, “…caraway is beaten with a rod, and cummin with a stick. Grain must be ground to make bread…” (Isa. 28:27b-28a, NIV). Do you ever feel like the caraway, the cummin, and the grain in this verse? Do you ever feel like life is beating you with a stick? Like you are being ground to pieces? Do you ever feel like all the world is against you? Like nothing goes your way? Like even God has turned away from you? You have financial problems, and health problems, marital problems, family problems, job problems, car problems, and on and on they go. Maybe today, you don’t have many problems. Well, let me tell you right now. If you have not had many in your past, and if you are a Christian, you will have problems. Jesus said in John 16, “In this world, you will have tribulation.” As we continue our study in the Gospel of Luke, we are going to see that even Mary and Joseph had their fair share of trials and tribulations. But we are also going to see how they handled it, and what God did about it. You will see what God will do for you also, as you handle the trials and troubles in your life in a similar way as Joseph and Mary. In Luke 1, we have already seen the birth of John the Baptist and some of the events leading up to the birth of Jesus Christ. And by the way, it was pointed out to me this week that for four weeks now, I have been calling the father of John the Baptist, Zacharias, when in the NIV, which is what many of you use, his name is Zachariah. All I can say is, “That’s what you get for using the NIV.” It’s the Nearly Inspired Version. Anyway, in the New King James, and the regular King James, and even in the NAS, John the Baptist’s father is translated as Zacharias. In the NIV, he is given the name Zachariah. It’s not an error in the Bible, it’s just a choice the NIV translators made. In Luke 2 we find the Tyrant. Very often, our problems in life are associated with other people. They disagree with us or we with them. We have an argument. They disobey. They do things we don’t like. They say something that offends us. Sometimes, such problems are our fault more than theirs, but that’s a subject for a different sermon. In verses 1-3 we see a selfish and egotistical tyrant who caused a lot of problems for Mary and Joseph. Look at what this tyrant does in verses 1-3. Luke 2:1-3. And it came to pass in those days that a decree went out from Caesar Augustus that all the world should be registered. This census first took place while Quirinius was governing Syria. So all went to be registered, everyone to his own city. Caesar Augustus has a political platform you probably won’t hear this coming year in our presidential campaign. He announced to the Roman Empire, “Read my Lips: Lots of new taxes!” It says there in verse 1 and verse 3 that he made a decree for everyone to go to his home town to be registered. In effect, he’s saying, “I need to know how many people are in the empire so I can know how much to tax you.” Of course, the difference between Caesar Augustus and modern presidents is that Caesar was not elected by the people, nor did he have term limits. He was kind of like a king or an emperor. He could do whatever he wanted. And here, he wanted to tax people. And in order to do that, he needed them to register, to take part in a census. Let me tell you a little bit about Caesar Augustus. His real name was Gaius Octavius. He was the adopted son of Julius Caesar, and so when Julius Caesar died, Octavius became emperor, and with it, the title of his position – Caesar. o he should have been known as Octavius Caesar. However, Octavius had quite an ego. He was very proud and arrogant. He wanted to be greater than any other Caesar before him, and so, with the approval of the Roman Senate, he dropped his name Octavius, and added the title Augustus. Augustus means “Majesty.” It’s a name of divinity. It carries the idea of being “of the gods.” Caesar Augustus means Caesar God. In essence, he was proclaiming himself to be god. That is part of the reason he taxed the people so heavily. He figured a god should live in luxury and ease, and that the people, his subjects, should pay for his luxuries. And so he taxed them. He didn’t care how his heavy taxes placed financial burdens on the people, and he didn’t care that his method of registration caused great disruption in the lives of his subjects. He didn’t care that by forcing people to return to their hometown to be registered, he was forcing people to go on long journey’s, and possibly uproot their families, and lose their jobs. He didn’t care if people were sick; he didn’t care if people were old. He just didn’t care. It didn’t matter to him if the subjects of his empire were greatly inconvenienced by his decree, he just wanted his money. He did whatever he wanted, and if people didn’t like it, that’s too bad. If they tried to rebel, he had his vast army to deal with uprisings. But Mary and Joseph submitted, even though it made their lives miserable, even though they ran into many troubles. Look in verses 4-7 at the troubles they experienced. Luke 2:4-7. Joseph also went up from Galilee, out of the city of Nazareth, into Judea, to the city of David, which is called Bethlehem, because he was of the house and lineage of David, to be registered with Mary, his betrothed wife, who was with child. So it was, that while they were there, the days were completed for her to be delivered. And she brought forth her firstborn Son, and wrapped Him in swaddling cloths, and laid Him in a manger, because there was no room for them in the inn. They experience so many troubles here, I’m not sure I can list them all. First of all, verse 4 says they went out of the city of Nazareth, into Judea, to the city of David, which is called Bethlehem. They have to travel from Nazareth to Bethlehem, which is a trip of about 80 miles. Today, with cars, we can make that trip in about an hour and a half. But without cars, that’s quite a distance for anyone to travel. This 80 mile journey took them several days. On top of it all, Mary is nine months pregnant. This is not the ideal time to go on an 80 mile journey. If that’s not enough trouble, the second trouble we learn here is that Joseph was of the house and lineage of David. This doesn’t seem like a trouble at first. We all want to be the descendants of a famous person. Joseph was the descendant of one of the most famous Israelites of all time – King David. And that’s a good thing. But the trouble comes in when we realize that a direct descendant from the royal line of David is being pushed around by an egotistical, pagan, selfish Caesar thousands of miles away. If we were Joseph, we probably would have demanded our rights. We probably would have written an editorial. We would have called our congressman. We would have passed around a petition for people to sign. We would have complained on the local news. We would have raised an outcry about how unfair this was. We would have garnered support for our cause. We would have picketed. We would have passed around a picture of our wife who is nine months pregnant and demanded how Caesar could make a woman in her condition travel 80 miles just to be taxed. We would have raised on outcry against the tax itself, and how it was unfair and unjust and way more than Caesar needed, and how the Roman government was wasting what money it did have. Maybe we would have said that because we were of the royal line of David, such a law shouldn’t apply to us. But not Joseph. He took it all in stride. Literally. He put a sign on his carpentry shop which said, “Went to be taxed – will be back soon,” packed his suitcases, hopefully got a donkey for Mary who was going to deliver her child any day, and they left for Bethlehem. That’s it. No complaining and no campaigning. Just obedience. And of course, things only get worse when they finally arrive in Bethlehem. The journey went much slower than normal, because of how far along Mary was. And so they arrived in Bethlehem long after everybody else. Which means there was no place for them to stay. All the inns were full. The end of Luke 2:7 says, there was no room for them in the inn. It cannot get much worse than this for Joseph. 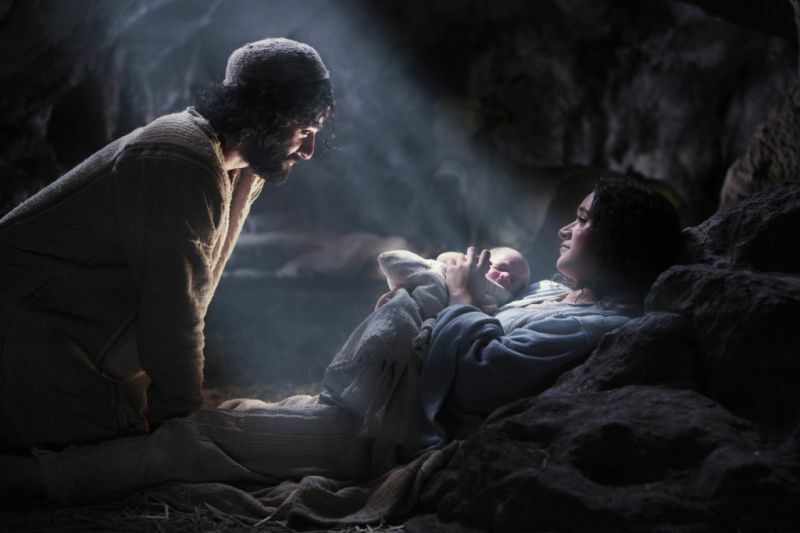 He has to leave his home, he has to close his shop, he has to go on a 80 mile journey, he feels bad he has to take his very pregnant wife, and then, to top it all off, when they arrive in Bethlehem, he realizes all the inns are full, and he forgot to make reservations. I imagine he’s feeling like a pretty good husband at this point in the passage. Nothing is going the way he hoped it would. All his plans to provide food and shelter and safety for his new wife and his soon-to-be-born child have been destroyed. This is not a way to start a marriage or a family. The problems he is facing are beyond anything he knows how to deal with. He’s at his wits end. He doesn’t know what to do. He feels ashamed and depressed. He sometimes feels angry at Caesar Augustus for making him do this. Other times he feels angry at God for allowing this to happen. Sometimes, he just wants to throw in the towel and quit. But he doesn’t. He presses on. Though sometimes it doesn’t look like it, and though it doesn’t feel like it anymore, he knows that God still loves him and is somehow going to work things out for good because He is still in control. Besides, Mary came to the same conclusion, and if anyone had something to complain about it was her. How many of you ladies, when you are nine months pregnant, want to go on a 80 mile journey which takes several days, and then at the end of it, rather than a hot meal, a warm bath, a comfortable bed, and the evening news, you only get a stack of hay out in a barn, which you share with a few cows and a horse? The stable, by the way, was probably a cave rather than a wooden structure the way all of the nativity scenes portray it as. Ray Vander Laan talks about this in video series, That the World May Know . But God didn’t wait. He had His reasons and His purposes for having His Son born in a lonely and dirty stable. And the baby Jesus was born there. It appears from the verses that she didn’t have any help. No doctors. No midwives. Just Mary and the animals. It appears that Joseph wasn’t even there. Maybe he was out looking for a midwife, or a better place to stay. There is a lot of loneliness in verse 7. It’s hard to say, but Mary probably cried. Remember, she is no more than 17 years old, maybe as young as 14. This was not the way she wanted to have her first child. And not the way she thought such a miraculous baby would be born. Joseph probably cried too when he came back. It’s not what he wanted for his young wife, either. But he felt completely useless and helpless and unable to do anything about it. Those are terrible emotions for a man to have. But that is the way it happened. And according to Luke 2:7, Mary wrapped the new born babe in swaddling cloths, and laid Him in a manger. Again, a manger is not the best crib. It didn’t have any safety features. No soft mattress with baseball pattern sheets and football pillows. Just a feeding trough for the animals and hay to lay on. That was it. Again, something I am sure distressed both Mary and Joseph. They probably sang Jesus to sleep that first night with the song, “Nobody knows the trouble I’ve seen.” But they couldn’t help but think, as they gazed down upon Him, that somehow, everything was going to be alright. And if fact, although they didn’t know it, the swaddling clothes they had wrapped him in were symbols of that very thing. Swaddling clothes are strips of linen which are wrapped tightly around newborn babies. In fact, they would even straighten out the babies legs, and wrap the strips of cloth very tightly around the legs so that they couldn’t bend back into the fetal position. They thought that this would help the baby grow stronger, straighter legs. But it is an interesting picture here, because it would be about 33 years later that Jesus would be wrapped in strips of linen and placed in a cave once more. And in both instances, things changed drastically. In both instances, at Jesus’ birth, and three days after his death, just when the night was darkest, just when those who loved Jesus (his parents at his birth, and his disciples at his death) began to wonder if God had forgotten them…angels came to announce a change. An uncaring tyrant caused Joseph and Mary great troubles, but they endured them without complaining or becoming bitter, and as a result, God acts on their behalf and everything changes. In verses 8-20 we see the troubles turned into trumpets. Beginning with verse 8. Luke 2:8. Now there were in the same country shepherds living out in the fields, keeping watch over their flock by night. These shepherds were watching Passover lambs which would be sacrificed later that year. So it is appropriate that they are about to go look at another Passover Lamb who will also be sacrificed later in His life. Luke 2:9. And behold, an angel of the Lord stood before them, and the glory of the Lord shone around them, and they were greatly afraid. Again we see that fear comes upon people when they encounter angels. It is hardly ever a sense of peace and well being with tingles and goosebumps the way many people would have us believe today. And again, as I mentioned last week, many scholars believe this angel was the angel Michael. At this point in the story, it is only the one angel that has appeared to the shepherds. The angel tells the shepherds about the birth of Christ, and that He will be Savior, and how to find him. But the angels proclaim Christ will bring peace. Peace does not come through money and power of the Emperor, but through humility and service. And the all important peace with God comes only to those who believe in Jesus for eternal life. Only through Christ can you have true and lasting peace. That is the message the angels proclaim. I also want to clarify the angel’s message for you. During the Christmas season, we see this heavenly Christmas carol plastered all over Christmas cards and store front reader boards. Peace is available to you today, if you are a person of God’s will. What is God’s will? To believe in Jesus Christ for eternal life. In John chapter 6, some people come to Jesus and ask him, “What must we do to do the works of God? What is His will?” And Jesus said, “This is the will of my Father, that you believe on Him whom the Father has sent” (6:28-29). That’s it. Believe in Jesus for eternal life. Do you want to have the peace the angels proclaim here? You need to be a man or a woman of God’s will, you need to do God’s will, which is to believe in Jesus for eternal life. But if you reject Him, you also reject peace. There can be no peace in this world without Him. Luke 2:15-16. So it was, when the angels had gone away from them into heaven, that the shepherds said to one another, “Let us now go to Bethlehem and see this thing that has come to pass, which the Lord has made known to us.” And they came with haste and found Mary and Joseph, and the Babe lying in a manger. The angels disappeared, went back into heaven, and the shepherds say, “Let’s go!” So they did. It says they came with haste. This was the first Christmas rush, but certainly different than the Christmas rush we are familiar with. They were rushing to see Jesus. I wish we all were more like these shepherds. They heard the Word of God spoken here by angels, and they immediately acted upon it. They didn’t wait around until it was morning. They didn’t ask for better directions. Can you imagine them saying, “Uh, Michael. There’s a lot of stables in Bethlehem, you wouldn’t by any chance have a street address, would you?” They received by faith the message God sent to them, and then responded with immediate obedience. I’m sure they knew where all the stables were, so they just checked around until they found the one Mary, Joseph and Jesus were in. We should also note that the angels didn’t appear to kings. They didn’t appear to the mayor of Bethlehem. They didn’t appear to the religious leaders in Bethlehem. They appeared to shepherds. Just humble shepherds out in the field. Shepherds were really outcasts in Israel. Their work not only made them ceremonially unclean, but their work also kept them away from the temple for weeks at a time so that they could not be purified. Mary’s song pointed out back in Luke 1:51-53 that this would be a pattern in the life of Christ, and it has already begun here (cf. 1 Cor. 1:26-29). It seems that the poor and the people who are nobodies are often the ones whom God gives special attention to. Luke 2:17. Now when they had seen Him, they made widely known the saying which was told them concerning this Child. The shepherds became the first Christian evangelists. The first witnesses to spread the good news of the Messiah. When they saw Jesus Christ, they could not help but keep silent about Him. They told everyone they met. Again, they are a lesson for us. Not only did they obey God’s Word immediately, but they also went beyond that and told others about Jesus. Once you have seen Jesus, it is a privilege, it is an honor, it is a necessity to tell others about Him. Once you have seen Jesus, you can’t keep from talking about Him even if you tried. The shepherds were so excited about what they had seen and heard, they just had to tell everybody. Look at the result in Luke 2:18. Luke 2:18. And all those who heard it marveled at those things which were told them by the shepherds. This is a key idea after all that we have seen today. Things did not go as planned for Mary and Joseph. They had experienced more trouble than they should have. And rather than complain, rather than criticize, they quietly accepted what God was doing. Joseph could have blown his own horn and demanded he get what he deserved as a descendant of King David. But he didn’t. Mary could have gone around bragging that she was carrying the promised Messiah and as a result, she could have demanded that she be given the best room in the inn – for free, and the innkeeper should kick out whoever was there. But she didn’t. Mary and Joseph chose to humbly accept the trials and troubles that God sent their way, and as result, God lifted them up. He raised them up. He sent angles to blow the trumpet for them, and shepherds to pass the word for them about who they were, and what kind of child they had been blessed with. Mary and Joseph chose not to blow their own horn. Instead, they let God do it for them. When credit comes to you for the ministry and talents and abilities you have, let it be God and others who bring it rather than from yourself. This is again the lesson we see in Luke 2:19-20. Luke 2:19-20. But Mary kept all these things and pondered them in her heart. Then the shepherds returned, glorifying and praising God for all the things that they had heard and seen, as it was told them. Mary was not the one to go around and tell people about how great she was, and how much God had blessed her. Instead, she just kept all these things and pondered them in her heart. And God used the shepherds to tell the world about Mary and her newborn babe. Do you have gifts and abilities which God has given you? Of course you do. All of you do. Great and incredible abilities and gifts which will do astounding things for God. But God does not want you to go around bragging about what He has given you, and demanding that people honor you and look up to you the way you think they should. Instead, like Mary and Joseph, quietly and humbly accept whatever position and privilege God has placed you in, and as you prove yourself faithful with a little, He will give you more. Don’t blow your own horn. Let God blow it for you in his perfect timing. Paul writes in Philippians 2 that we should be like Christ, and I suppose we could say Mary and Joseph, for making themselves of no reputation, acting like a servant to everybody, and humbling themselves to the greatest extent possible. And as a result, God highly exalted them and raised them up. Jesus was lifted above every name, in heaven and on earth, and before Him, every knee will bow and every tongue will confess that Jesus Christ is Lord. You too, humble yourself in the sight of the Lord, and HE will lift you up. Isn’t this a spectacular lesson? Joseph and Mary’s trials and troubles were overwhelming. They could even point the finger, if they had wanted to, at that selfish emperor, Caesar Augustus. But they didn’t. They didn’t become bitter, they became better. All of the suffering, inconvenience, and discomfort caused by the decree of Caesar was actually the loving hand of God working things out to accomplish His purposes in His own way. You see, about 700 years before these events happened, God declared through the prophet Micah that the Messiah would come from Bethlehem. And so while Caesar thought he was the one in control, it was really God who was in control. That arrogant emperor was only a puppet, a tool, in the hand of God to accomplish his purposes. And one of God’s purposes was to give more praise and honor than Mary and Joseph could have ever imagined, or could have ever raised for themselves. God wants to change your troubles into trumpets if you will only let him perform His work in you. Edersheim, Life and Times of Jesus the Messiah, 186. Keener, Bible Background Commentary, 194. Wiersbe, Bible Exposition Commentary, 176. McGee, Thru the Bible, 253. Cf. Bock, NIV Application Commentary: Luke, 88. Swindoll, Tale of the Tardy Oxcart, 585. 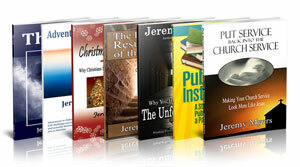 Jeremy, thank you for making your work available. Every Tuesday night I go to the local jail and do Bible studies and ministry. again, thank you for the opportunity to share the work He has done in you with the lost. Thanks Bruce. I also am in prison ministry. Thank you for doing this difficult and demanding work. I am glad my sermons are proving helpful. This is well exegetical work. God bless you and make you great. Glory to Jesus for such a wonderful information on the birth of our lord. Great exposition so soul touching message with lessons clearly spelt. Thanks man of God! qn.Why was not the date of Jesus’ birth mentioned in the Bible? According to my belief, if it is mentioned, people would give more importance to the date itself than Jesus Himself.